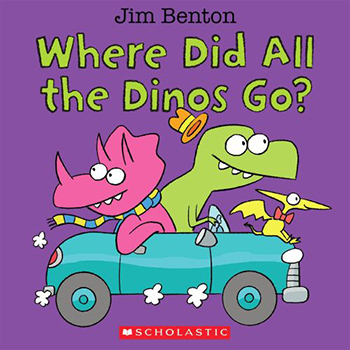 Home > Board Books > Where Did All The Dinos Go? Some say they vanished long ago. we just might find some in THIS BOOK. Kids will love to search and find dinosaurs in Jim Benton's hilarious world of DINOS!